We manufacture comprehensive range of multiple rip saw Blades which comes with precision designed tungsten carbide teeth for ensuring fast and smooth cuts. The metal structure provides the blade with a longer life and the blade coating prevents rust formation.This saw blade is apt for heavy-duty applications owing to its thick and rugged body and design. 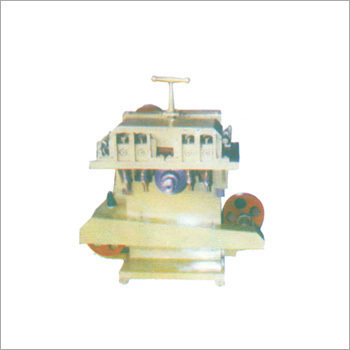 We offer our clients with a qualitative range of DoubleFeedersRipSawMachines. These are fitted with four feeders at the top of table and comprise an extra heavy duty M.S. Fabricated body. The shafts of this machine are fabricated from special steel for long life and the machine is fitted with Tata - 28 five-speed gear box. Our range also includes a heavy duty main shaft bracket that is fitted with superior quality bearing of 75 mm feeder size and also with bronze bush for smooth working. Looking for “Double Feeders Rip Saw Machine”?